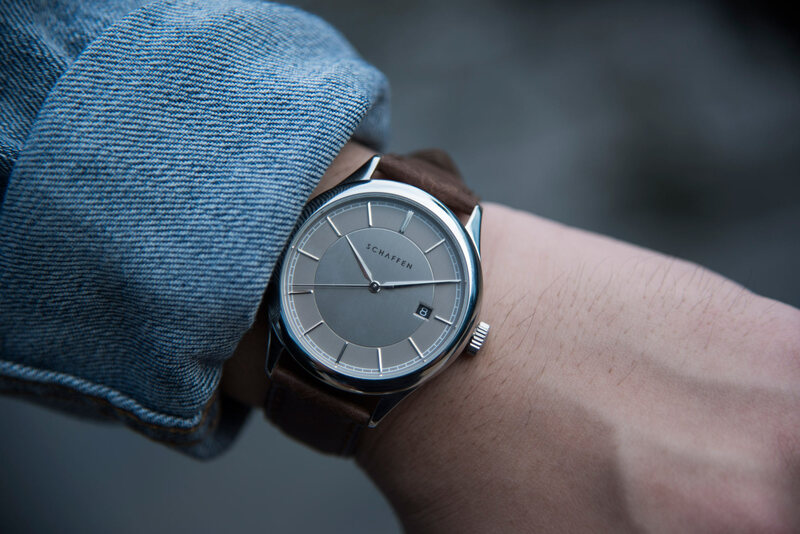 Singapore watch brand Schaffen Watches recently released their much-anticipated Reference 65 Collection, consisting of two lines of classic yet versatile custom-made timepieces. Schaffen was founded in 2015 as a micro-label whose goal was to allow customers to be involved in the design and curation process. In doing so, the final result is an enduring, premium timepiece you can call truly one-of-a-kind. The Reference 65 consists of two collections, the A65 Dress Watch and the S65 Sport Watch. Both collections are customizable, where pre-curated options of dial, hands and even date windows are available. While the above may seem routine, Schaffen goes a step further through personalization – unique signatures, text or motifs can be imprinted on the dial. What is even rarer in the watch industry is the customization of the rotor. In the Reference 65, each rotor is made-to-order and can be skeletonized and/or engraved with almost any design. The rotors are manufactured via 3D printing in Belgium, and subsequently polished by Schaffen’s watchmakers and jewelers. They are made of 316L stainless steel, with the option of upgrading to 18K red, yellow or white gold plating. The A65 Dress Watch, measuring at 40mm x 9.8mm, is a timeless classic inspired by dual-toned dials of the 1950s. The dial is vertically brushed in the centre and finished with a matter outer ring containing appliqués. Both the watch hands and appliqués are faceted and reflect light brilliantly. For additional contrast, the case-side is brushed while the bezel and lugs are polished. 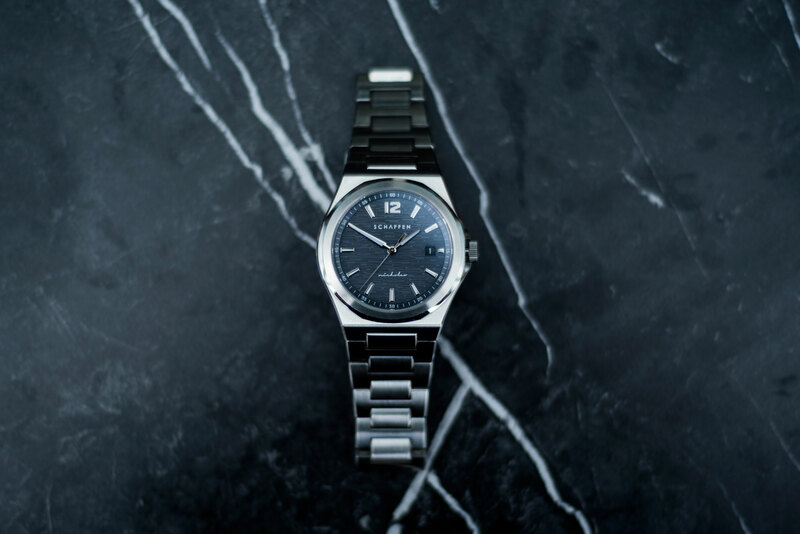 The S65 Sport Watch is a Genta-inspired model which features a conservative size of 39.5mm. The case comprises a circular-brushed round bezel which sits atop a polished, rounded-hexagon sub-bezel. The contrast is repeated in the bracelet, with vertically brushed links and polished edges. The S65 dial is finished with a horizontally-ridged texture which adds character to the piece. Both pieces are made of 316L stainless steel and employ the reliable Swiss-made Sellita SW200-1. The crystals are sapphire, with the top crystal finished with an inner AR coating. The Reference 65 is now live on Kickstarter.